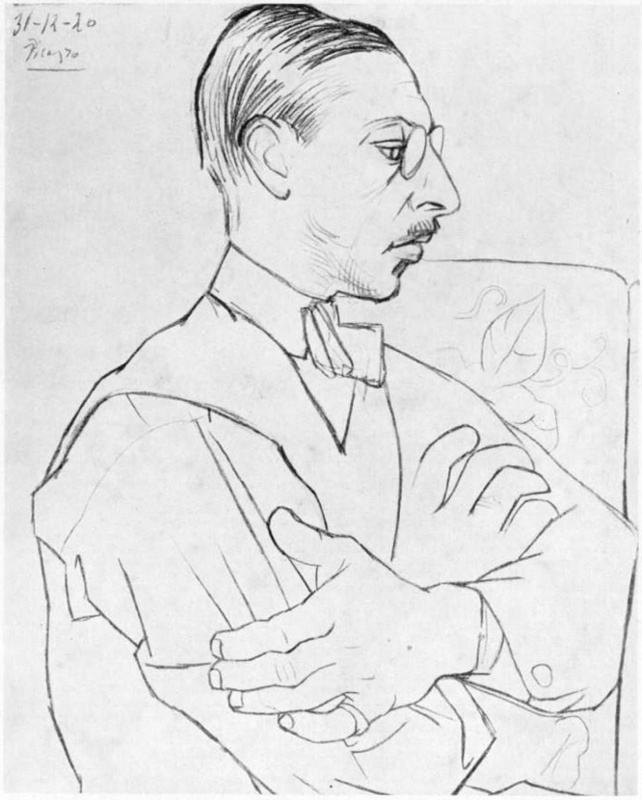 The New Yorker’s Russell Platt gives a run down of Decca’s box set of Rite of Springs, featuring 36 recordings of Stravinsky’s epic masterpiece. Thanks, Tim. Just put this on my Amazon wish list. Decca must have gone through many legal hoops with other recording companies for this but I’m glad they did. I’d never heard of Rudolf Albert and the Orchestre des Cento Soli but it’s a performance he speaks highly of and I’d like to hear. Too bad one of my favorites, Muti and Philadelphia, is not there. That was the first one I bought and was my benchmark recording for many years. Yay, someone finally read the link. Yes, the absence of Muti’s recording from many discussions of The Rite is a little frustrating. It’s definitely one of my favorites. I’d also like to hear the Cento Soli recording, as well as one or two of the Doratis. I’m glad to see he mentioned the Ansermets. I have the one in stereo and it’s a real kick. Just thought you should know that a couple of weeks ago (after that last PSO Classics concert) I finally became a convert to “The Rite of Spring”. Yes, it took me almost 40 years. But thanks to your recent advice on how to approach the piece, it suddenly makes sense to me in a way it never did before. Never underestimate your power to inspire. Now with “Know Your Rites” you have once again provided an invaluable public service (especially for a Johnny-come-lately like me), as I contemplate which version to buy. Based upon the snippets provided here (and a bit of sampling from i-tunes, I feel a certain gravitational pull toward both the Salonen and Von Karajan recordings. certain gravitational pull toward both the Salonen and Von Karajan recordings. The former is listed as being from the recording released in 2006, with the LA Philharmonic. The sound quality of that version is noticeably better than the others — greater clarity with more bass and an intrinsic resonance — although whether one likes Salonen’s interpretation of the ROS and the nuances of the musicians he was conducting is a matter of personal taste. Congratulations on listening to all 36 recordings! I am impressed. Obviously, you realize that judging the “sound quality” is just as subjective as evaluating “interpretation” and “nuances of the musicians”, and that this “sound quality” as it reaches your ears includes not only the hall’s acoustics but also the actual sound produced by the players, as well as the way that particular set of recording equipment captures the sound, plus the way that particular group of recording engineers together with the producer of the recording manipulate the balances and other properties of the sound in order to bring the best possible result – according to their own tastes (taking into consideration the wishes of the conductor who lets them know his own preferences) – to the listener. By the way, to fully describe the acoustical qualities of the sound in any orchestral hall, one must talk about many things other than bass, clarity and resonance: there are such important considerations as “color” and “warmth” of the sound, the way it blends together into one symphonic whole, the duration and the shape of the reverberation and, to use one of Esa-Pekka’s favorite expressions, so on and so forth. And the result will still be subjective because different people prefer different sets of qualities in different amounts and proportions. But there are certain absolutes. If not, than anything can be considered a truism—or, for that matter, a falsehood. Then again, yes, I can deem that twangy country music or hard-core rap music is just as good as a round of Mahler or Mozart. After all, it’s a matter of one’s opinion, it’s all subjective. Of all the recordings of ‘The Rite’ that I’ve heard, I’d say that the best all around recorded sound is Ansermet’s stereo recording, made in the late 50s. The combination of Decca’s golden age engineers, the wonderful acoustics of Geneva’s Victoria Hall, and Ansermet’s French-style orchestra make for stunning listening, from a pure recorded-sound standpoint. As a matter of fact, i do believe that considering one kind of music “better” than the other is subjective. Different types of music appeal to different people and satisfy different needs. Are all fans of classical music somehow “better” as human beings than all fans of country music? Of course not. It is simply that their musical needs are different and they are interested in a different kind of musical stimulation. What i consider most interesting, someone else may find most boring, and vice versa. The same is true when talking about music within the same type. For example, one of this blog’s readers mentioned in a comment a year or two ago that (s)he preferred listening to music written by Richard Strauss to that by Mozart. This is a fully legitimate personal preference, but does that mean that RS’s music is “better” than Mozart’s? Obviously not. As for sound quality, there are definitely objective acoustical parameters that can be measured scientifically and certain basic requirements on which most knowledgeable experts can agree, but ultimately judging one good set of parameters “better” than the other still remains subjective. There is by the way such a thing as too much bass response and too much resonance, and even too much clarity (because it usually is achieved at the expense of warmth and unity of the sound). That is why one person’s preference for a particular hall over all others may be valid for that person (although when it is based on recordings and broadcasts only, i believe the value of such judgment highly questionable), but that does not make such an opinion anything other than what it is – one person’s opinion.